You might already use content personalization in your digital communication. But are you using it fully? And effectively? 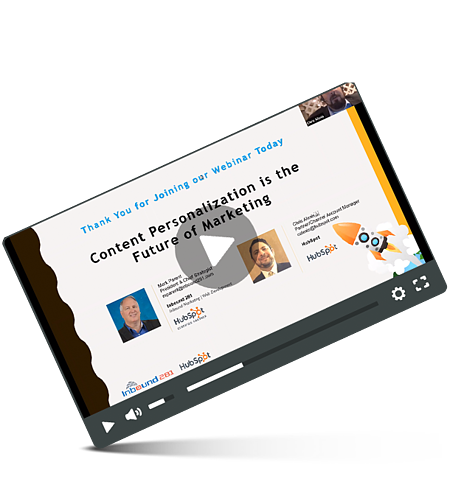 In this recorded webinar, HubSpot inbound marketing expert Chris Alexis shows the ins and outs of personalization. This webinar is ideal for anyone seeking to make the most of personalization, now and into the future. Don't miss out. Watch the Webinar!